M. Night Shyamalan has released the final teaser for the Philadelphia-shot Glass before the film's full trailer debut at San Diego Comic-Con on Friday. At about 45 seconds, this newest look at Glass is a quick one, but gives a glimpse into the character of Elijah Price, also known as Mr. Glass, Samuel L. Jackson's character from 2000's Unbreakable. Previous teasers focused on Unbreakable's David Dunn, played by Bruce Willis, and James McAvoy's Kevin Wendell Crumb, also known as Horde, from 2016's Split. >> READ MORE: 'Split': M. Night Shyamalan makes a good movie! "I'm a comic book expert. I create the extraordinary," Price says in the teaser. "It is time to show the world what we are capable of." 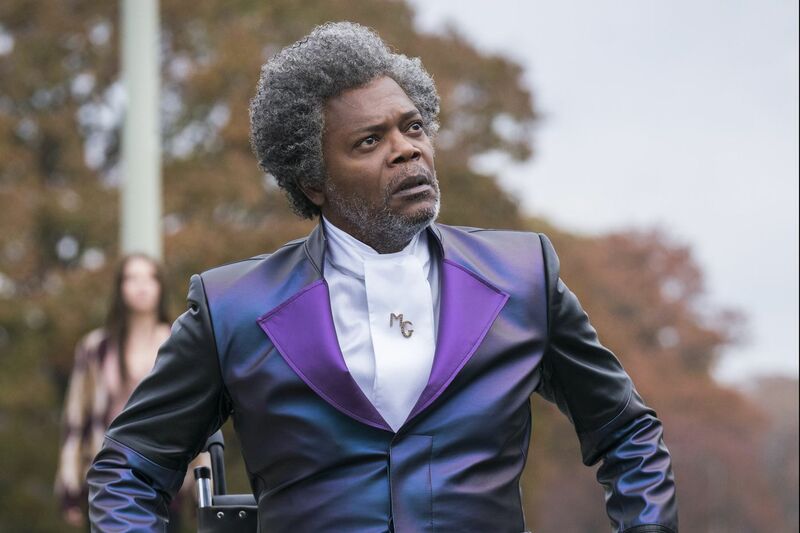 Glass will feature Dunn, Crumb, and Price as a crossover follow-up to both Split and Unbreakable. An official synopsis describes the film as an "explosive, all-new comic book thriller" that shows "Dunn pursuing Crumb's superhuman figure of the Beast in a series of escalating encounters, while the shadowy presence of Price emerges as an orchestrator who holds secrets critical to both men." The film also stars Unbreakable's Charlayne Woodard and Spencer Treat Clark, who played Dunn's wife and child, respectively, as well as American Horror Story's Sarah Paulson. Shyamalan filmed much of Glass in the Philadelphia area starting late last year, and wrapped shooting on the film in February. A number of stars came to town to participate, including Willis, Jackson, and Paulson. Glass is scheduled for release Jan. 18, 2019.